Boston, MA (November 28, 2018) — Several ALS organizations announced on Wednesday that the first participant was successfully given a dose of AT-1501 in the first in-human trial of the potential treatment for ALS. AT-1501 was developed by the ALS Therapy Development Institute (ALS TDI), with support from The ALS Association, ALS ONE, and ALS Finding a Cure®, and is being brought into trials by Anelixis Therapeutics, Inc., a for-profit subsidiary of ALS TDI. The phase 1 safety trial of AT-1501 is enrolling healthy volunteers and people living with ALS, following the acceptance of an Investigational New Drug (IND) application by the Food & Drug Administration (FDA). A total of 8 people with ALS will receive AT-1501 in this study, with the aim of determining safety and tolerability of the experimental antibody. The trial will also determine the pharmacokinetics of AT-1501, i.e. how the drug moves within the body. AT-1501 is thought to block a specific immune system target expressed on lymphocytes (white blood cells), called CD40LG, which is known to drive neurodegeneration. Published research by ALS TDI has implicated a disease mechanism in the disease progression of patients with ALS, which may be blocked by the immune modulatory effects of anti-CD40 ligand monoclonal antibody therapy. If safety is achieved, a next step forward could be a phase IIA safety study to further assess the safety, tolerability and pharmacokinetic profile of AT-1501, along with exploratory biomarker studies for example. However, the company has made no announcements regarding next steps, rather, staying focused on completing enrollment and conducting analysis on data collected through this initial phase 1 study. The ALS Association is the only national nonprofit organization fighting Lou Gehrig's Disease on every front. By leading the way in global research, providing assistance for people with ALS through a nationwide network of chapters, coordinating multidisciplinary care through certified clinical care centers, and fostering government partnerships, The ALS Association builds hope and enhances quality of life while aggressively searching for new treatments and a cure. For more information about The ALS Association, visit our website at www.alsa.org. ALS Finding a Cure® is dedicated to being a game changer in discovering a cure for this fatal disease. Founded in 2014 by noted philanthropist and Conair Founder and Chairman, Leandro P. Rizzuto, as a tribute to Christie Rizzuto, his daughter-in-law who was diagnosed with ALS in 2009 at the age of 41, and under the leadership of Denis Rizzuto, Peter N. Foss, and a team of renowned ALS researchers, ALS Finding a Cure® is focused on identifying the gaps in the scientific understanding of ALS that are preventing the development of a cure. The organization, a program of The Leandro P. Rizzuto Foundation, collaborates with a wide range of companies, ALS organizations, other disease research organizations, and ALS patients and families to ensure research efforts are non-duplicative, synergistic, and focused on the ultimate goal: finding a cure. For more information about ALS Finding a Cure®, visit http://www.alsfindingacure.org. ALS ONE is a partnership of the top ALS experts from leading Massachusetts institutions, including ALS Therapy Development Institute, UMass Medical School, Massachusetts General Hospital and Compassionate Care ALS. These venerable institutions are combining forces with the goal of finding a treatment or cure for ALS, while improving care now. The approach of ALS ONE is to leverage the expertise from each of the research institutions through the sharing of ideas and responsibilities to advance each of the strongest therapeutic opportunities identified. Through the rapid and efficient exchange of information, this partnership will help eliminate unnecessary duplication and expedite the path to find ALS treatments. As the scientific and clinical efforts to advance new treatments take time and significant funding, ALS ONE is also working to improve care for persons living with ALS by creating more access to clinical trials through education and transportation, as well as providing technology, equipment, and support services. 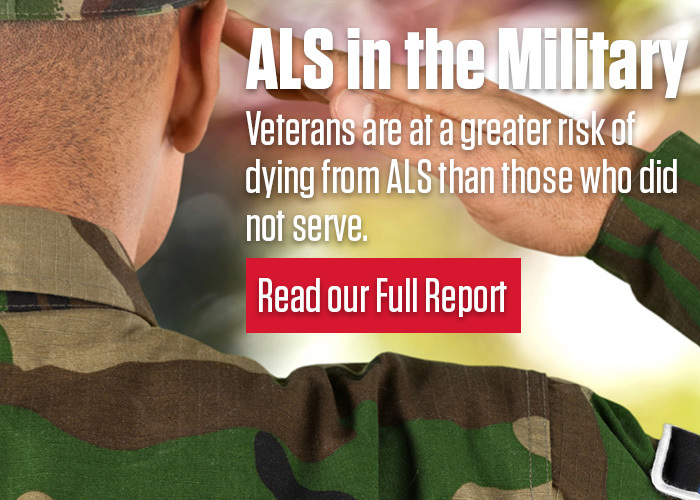 ALS ONE is a non-profit 501c3. For more information, visit www.ALSONE.org. The ALS Therapy Development Institute (ALS TDI) and its scientists actively discover and develop treatments for ALS. It is the world’s first and largest nonprofit biotech focused 100 percent on ALS research. Led by people with ALS and drug development experts, ALS TDI understands the urgent need to slow and stop this disease. Based in Cambridge, MA, ALS TDI has over 30 full-time, industry trained, drug development experts on staff. ALS TDI is internationally recognized as a leader in optimizing preclinical models of neurodegeneration for clinical translation, and partners with pharmaceutical companies and biotechs around the world. Rated a CharityNavigator.com four-star charity, ALS TDI spends 87% of each dollar raised on research to find an effective treatment and cure. Visit www.als.net. ALS TDI created Anelixis Therapeutics in 2012 as a for-profit clinical development subsidiary to develop AT-1501 as a potential treatment for ALS. Anelixis has been successful at raising capital to complete large scale manufacturing, IND-enabling safety and toxicity studies, and regulatory filing for AT-1501. Anelixis was granted Orphan Drug Designation for AT-1501 from the FDA in April 2018 and submitted a successful Investigational New Drug (IND) application to the Food & Drug Administration (FDA); leading to this phase 1 trial being launched. A more comprehensive timeline tracking the development of AT-1501 can be viewed online here. Every 90 minutes, someone is diagnosed with Amyotrophic Lateral Sclerosis (ALS), also known as Lou Gehrig's disease or Motor Neuron Disease (MND). It is a progressive, neurodegenerative disease that causes muscle weakness, difficulty breathing and swallowing, and paralysis while leaving the senses intact. ALS attacks certain cells in the brain and spinal cord needed to keep muscles moving. Most people survive two to five years after their diagnosis, with an estimated 30,000 people in the US and 450,000 worldwide living with the disease. Currently, there is no effective treatment nor cure.